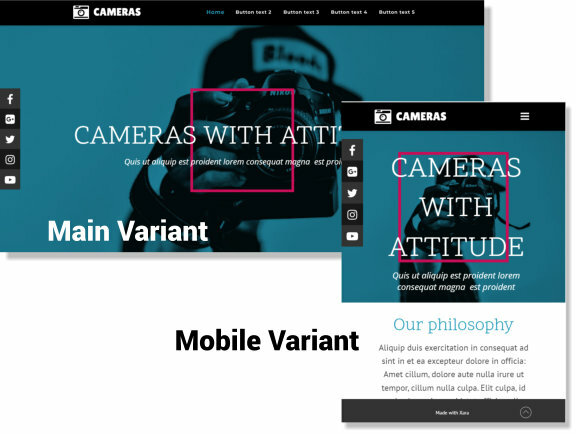 Nearly all the websites templates available with Xara's desktop products come with a main website and a mobile variant suitable for viewing on mobiles and tablets. You can edit both variants using Xara Cloud. Switch between the variants by tapping on the Settings menu and then choosing the variant you want to edit from the Variants panel. If the website you are editing didn't come with a mobile variant, then you won't see this dialog. You can preview using the Share option.